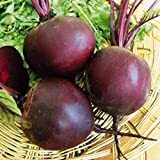 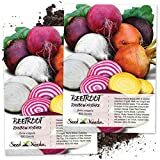 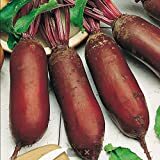 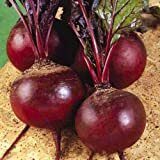 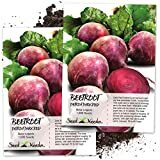 Beetroot growing taproot leaf plant of the genus Beta also known as Garden beet, Beetroot annual but for seeds biennial plant, can grow in mediterranean, subtropics or temperate climate and growing in hardiness zone 2-10. 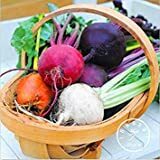 Taproot shaped cone or round, taproot colors: burgundy, pink, yellow, orange, white or red, some species are separate with circles in different colors, one purple or yellow and the other white, repeat the circles several times. 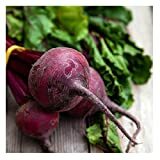 Leaves can be 5-30 cm, the color: purple, green or mixed, depend on the species. 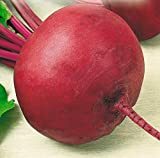 Do the seeds require burying?